You'll think this is the best dang burger you've ever had! 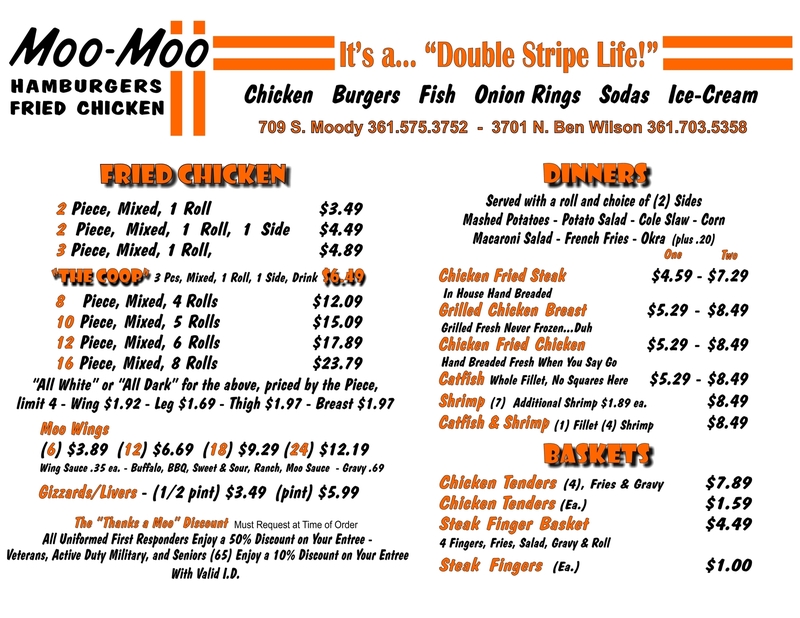 "This has one of the best burgers I've ever had and some darn good chicken. You won't be disappointed." 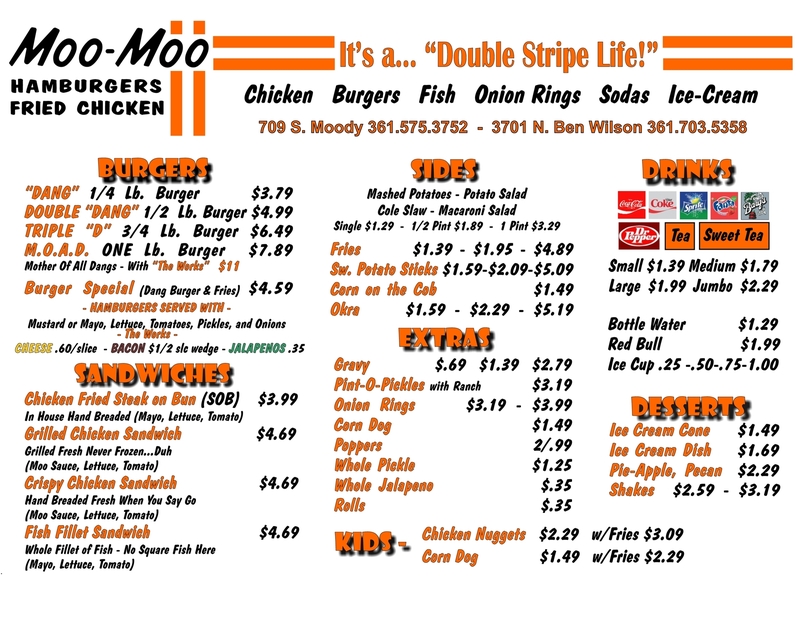 "I've been eating from Moo-Moo's restaarunt at the river bridge in Victoria TX for the last 37 years and they still have the best onion rings in town. Hand cut, dipped and fried, there's no place better for burgers and rings to go or to eat in the shade outside here in our fair city!" "Best chicken I have had in Texas!! The sides were nothing special, but were good. The portions were big...Chicken was seasoned and cooked to perfection. It wasn't even that pricey either. Very happy!!" "Love Moo Moos! Best wings, Best chicken, and Best Burger! 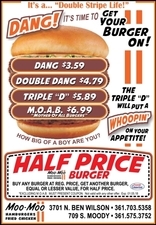 Very cheap for how good the food is and everyone is always friendly!" "Great experience!!!!! 5 star for customer service!!!"